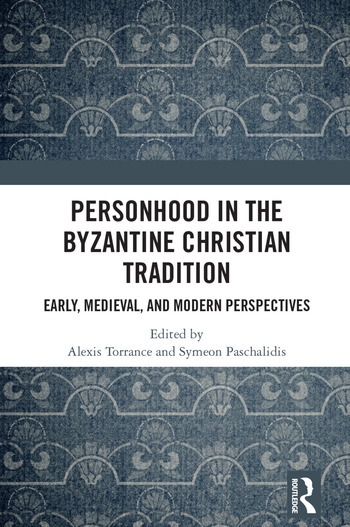 Bringing together international scholars from across a range of linked disciplines to examine the concept of the person in the Greek Christian East, Personhood in the Byzantine Christian Tradition stretches in its scope from the New Testament to contemporary debates surrounding personhood in Eastern Orthodoxy. Attention is paid to a number of pertinent areas that have not hitherto received the scholarly attention they deserve, such as Byzantine hymnography and iconology, the work of early miaphysite thinkers, as well as the relevance of late Byzantine figures to the discussion. Similarly, certain long-standing debates surrounding the question are revisited or reframed, whether regarding the concept of the person in Maximus the Confessor, or with contributions that bring patristic and modern Orthodox theology into dialogue with a variety of contemporary currents in philosophy, moral psychology, and political science. In opening up new avenues of inquiry, or revisiting old avenues in new ways, this volume brings forward an important and on-going discussion regarding concepts of personhood in the Byzantine Christian tradition and beyond, and provides a key stimulus for further work in this field. 11 Nikos Nissiotis, the "theology of the ’60s" and personhood: continuity or discontinuity? Alexis Torrance is Archbishop Demetrios College Chair of Byzantine Theology and Assistant Professor in the Faculty of Theology and the Medieval Institute at the University of Notre Dame. Symeon Paschalidis is Professor of Patristics and Hagiography in the Faculty of Theology at the Aristotle University of Thessaloniki and the Director of the Patriarchal Institute for Patristic Studies in Thessaloniki.